Mizuno has always been a solid performer and their new line with its refined look is no exception. Special attention was paid to the details of sound, stability, and feel in the JPX 919 irons resulting in better dispersion and great feedback. With three versions there is a set for any level of player. 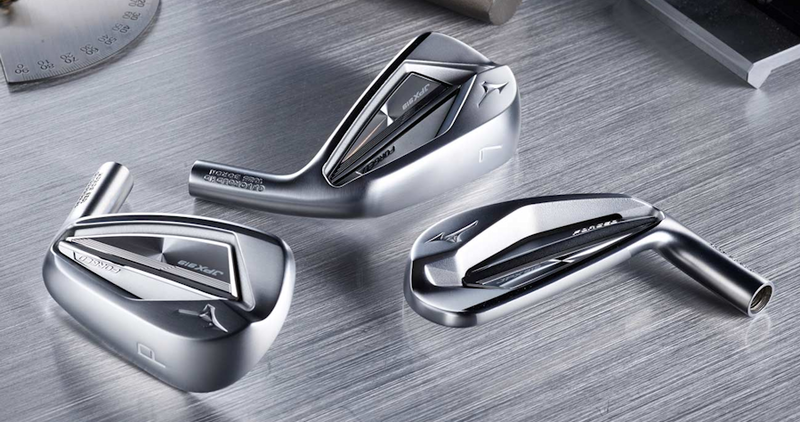 If you have not hit Mizuno irons for a while be sure to give the JPX 919 irons a try and you will be pleasantly surprised. JPX 919’s new, refined look featuring satin nickel chrome and pearl finishes with clean lines has definitely caught our attention. With three different models consisting of the 919 Forged, the 919 Hot Metal and the 919 Tour, you are bound to find one that is most suitable for your level of play. All three were designed to improve the look, sound, and feel you’re looking for. Tight tolerances, strong and stable frame, increased ball speeds, and that signature Mizuno feel are certainly worth testing. Whether it is the mild carbon steel Forged irons with a lower, deeper center of gravity, or the highly resilient Hot Metal option designed to provide a vibration that is oh-so satisfying at impact, the choice is yours. And for those lucky right handers, you even have the choice of the Tour model that provides a grind similar to what the pros request when on TOUR. Come to Cool Clubs to see which of the 919’s will create the ideal launch conditions for your game. Book your JPX 919 fitting today at Cool Clubs.